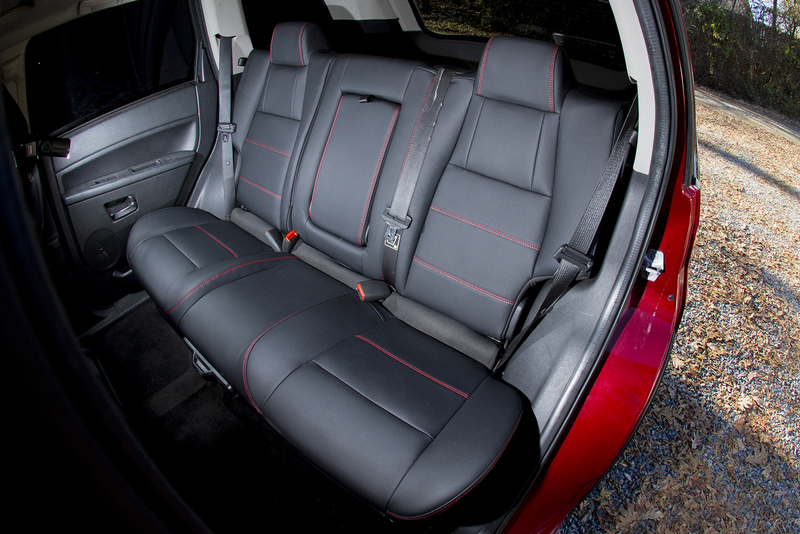 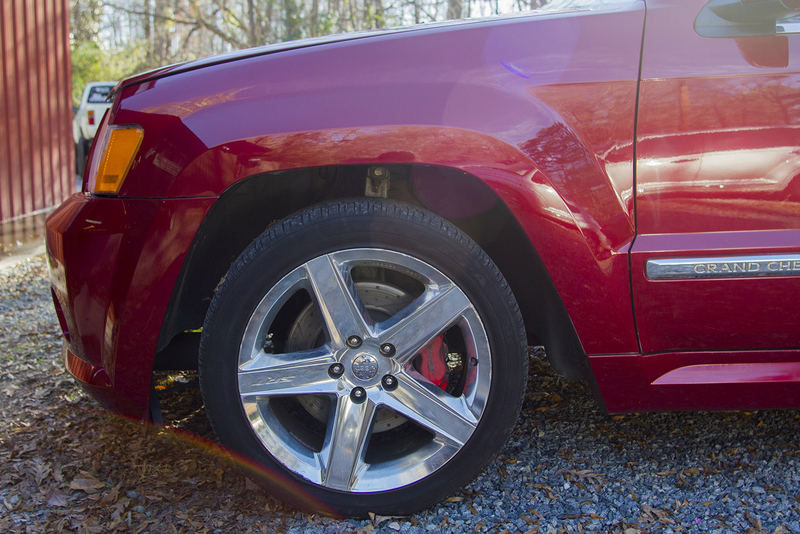 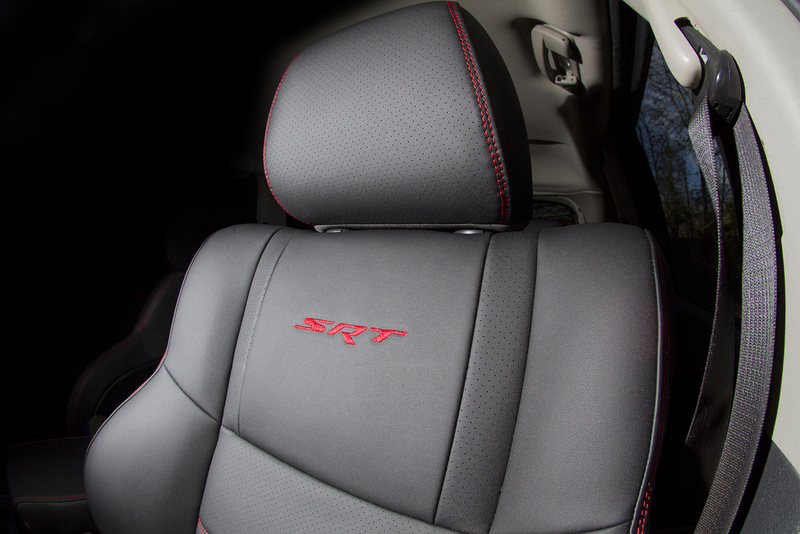 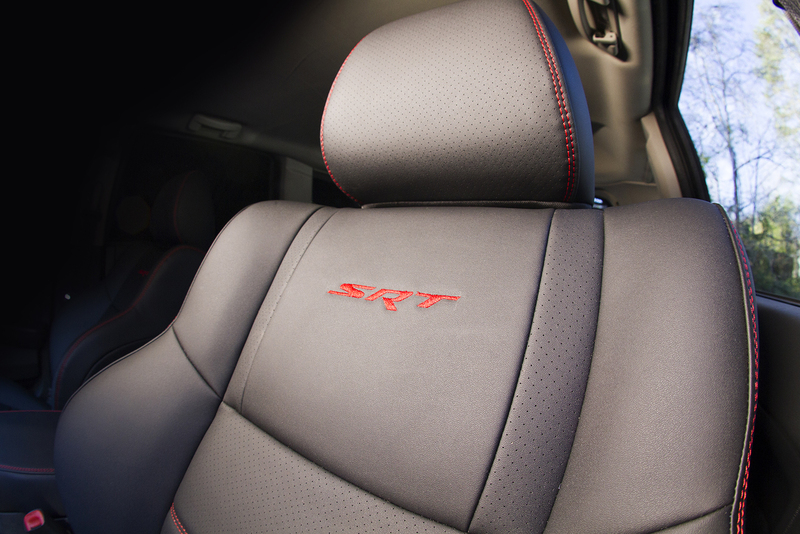 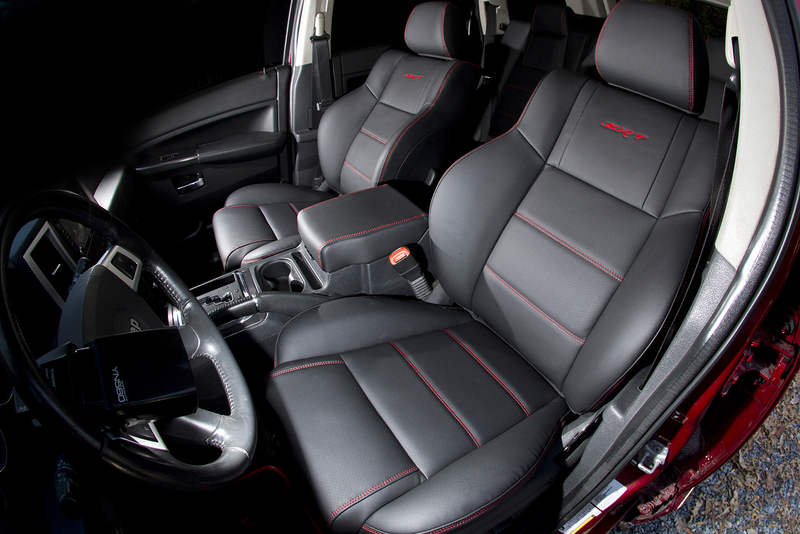 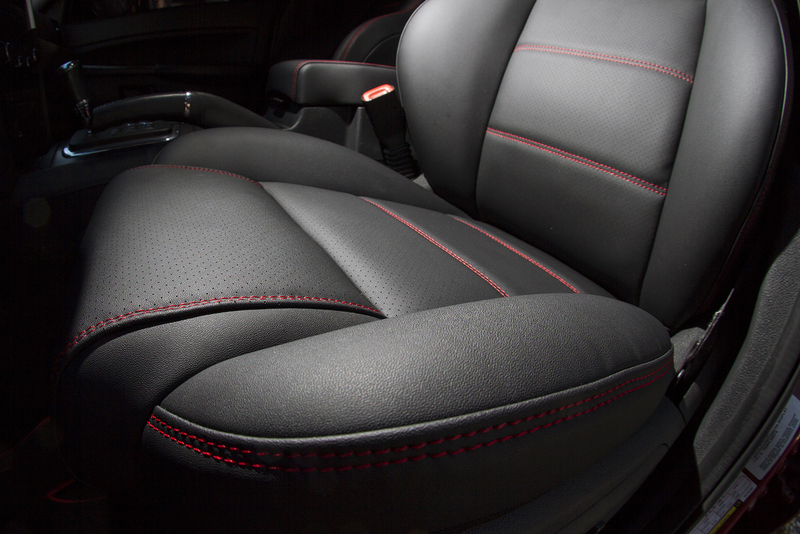 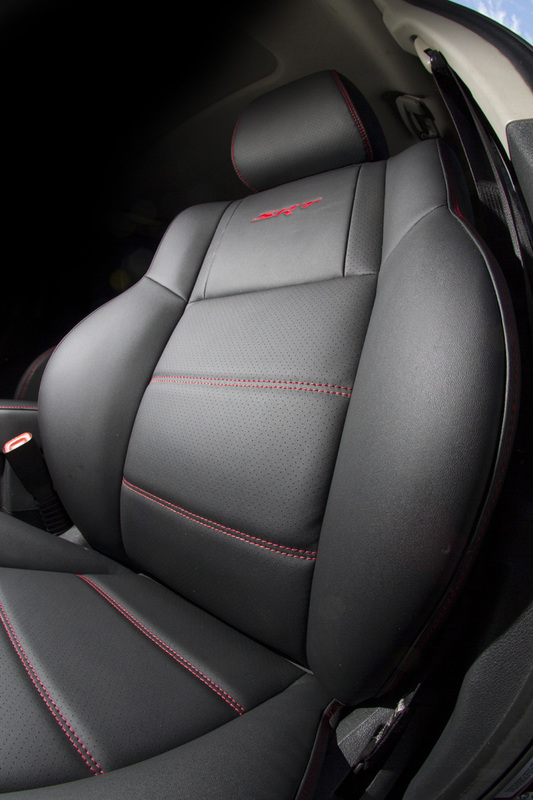 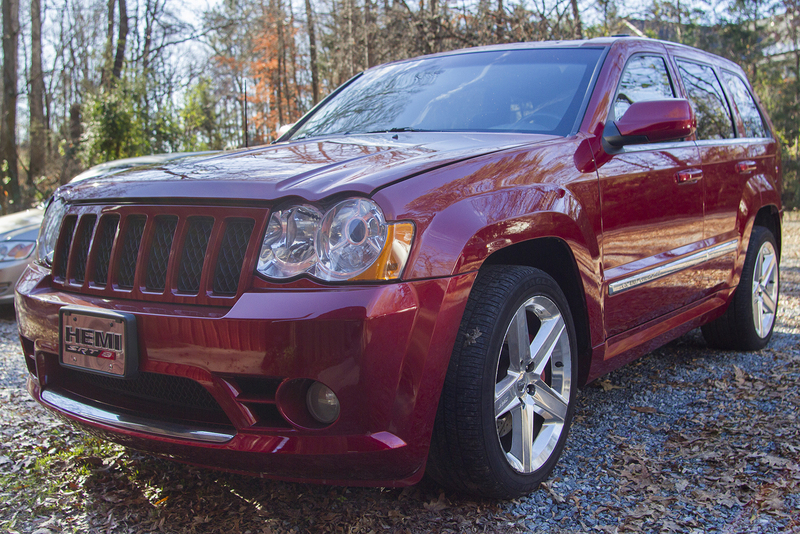 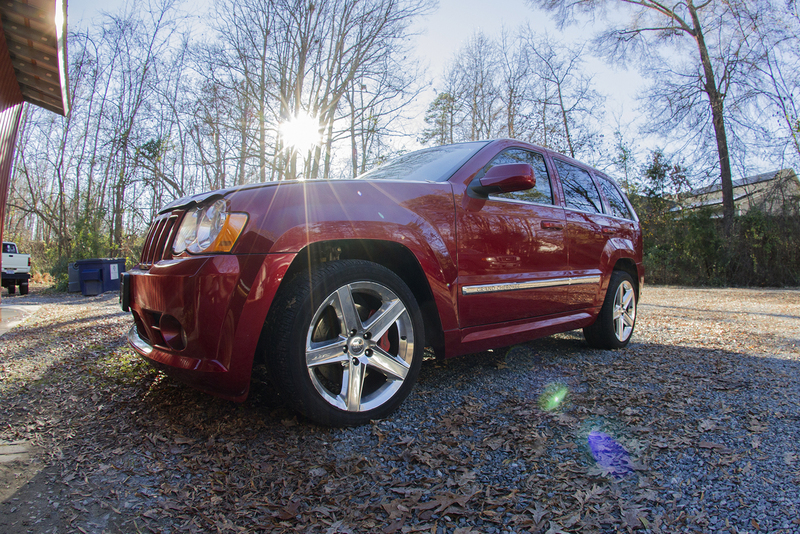 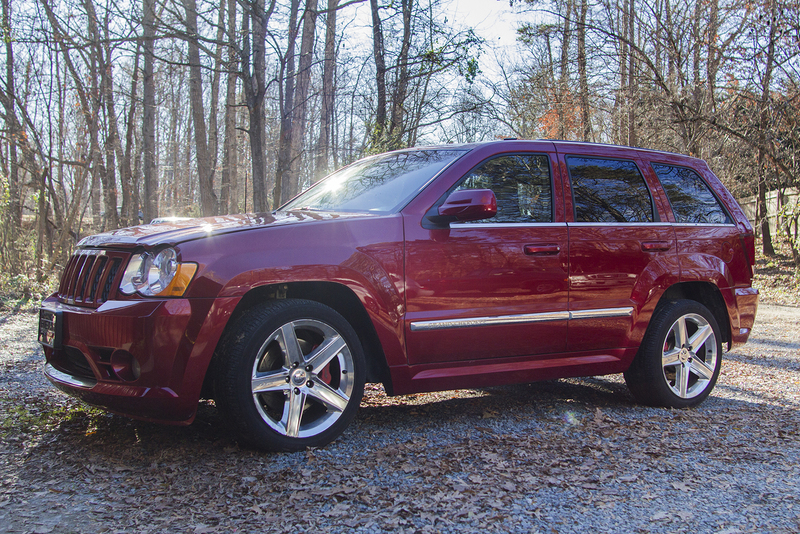 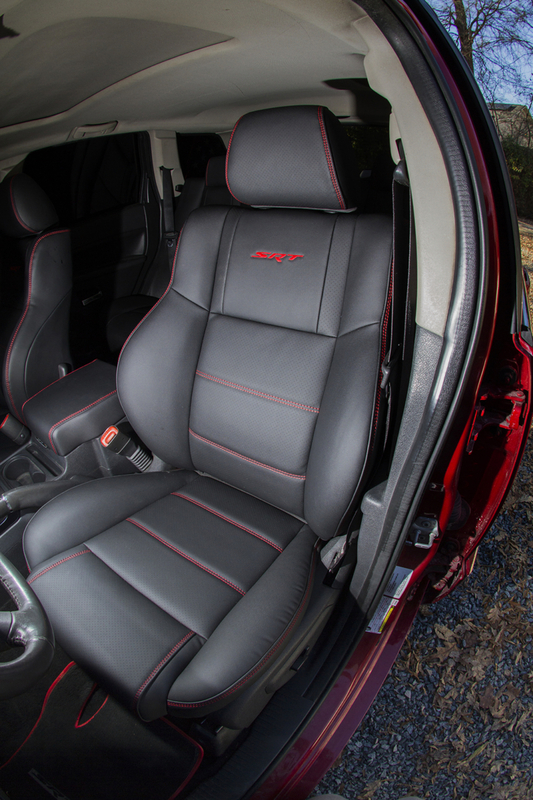 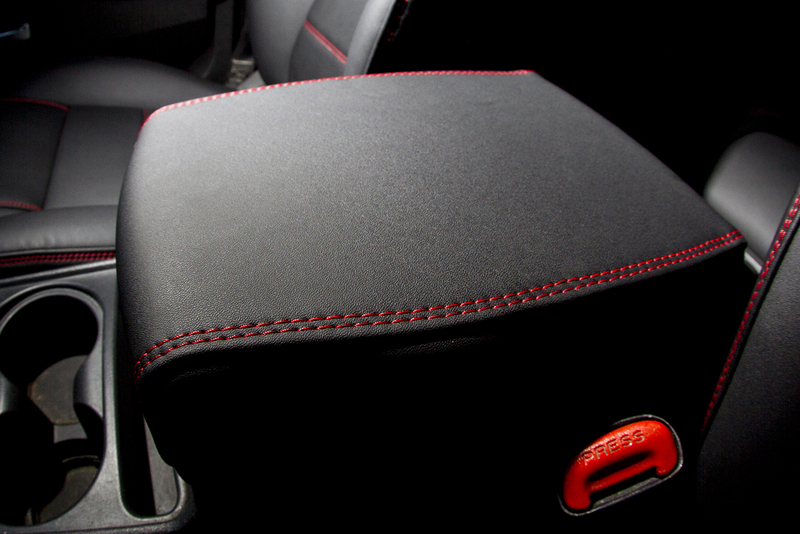 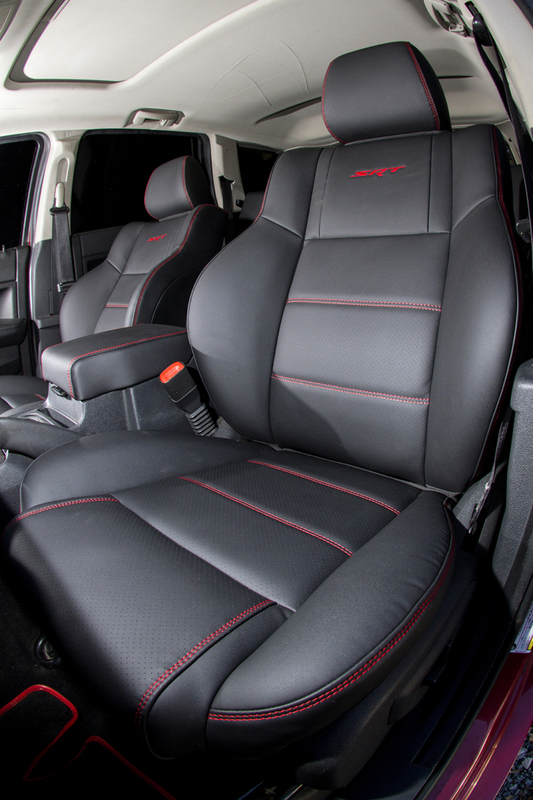 Get inside this Customized Jeep Grand Cherokee SRT8 interior with black Nappa leather, red threads and color matched custom SRT logo. 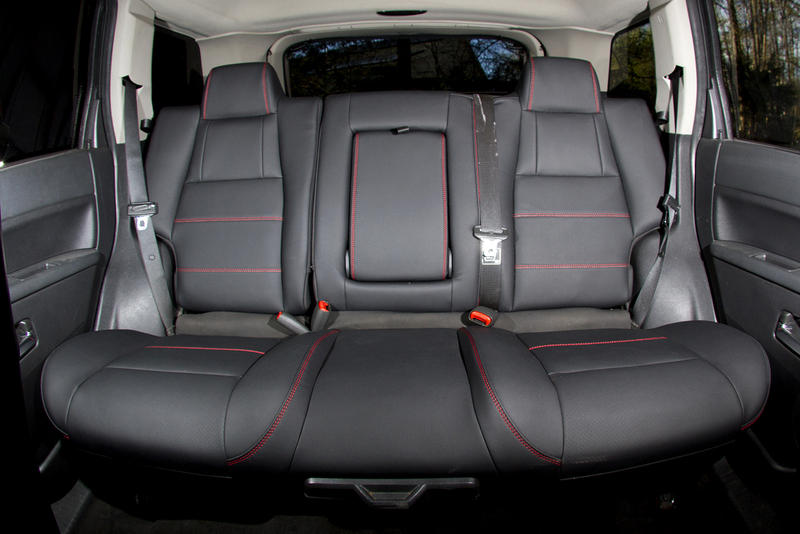 Original factory-installed cloth seats were replaced with a custom designed black leather interior from Dalas Auto Upholstery. 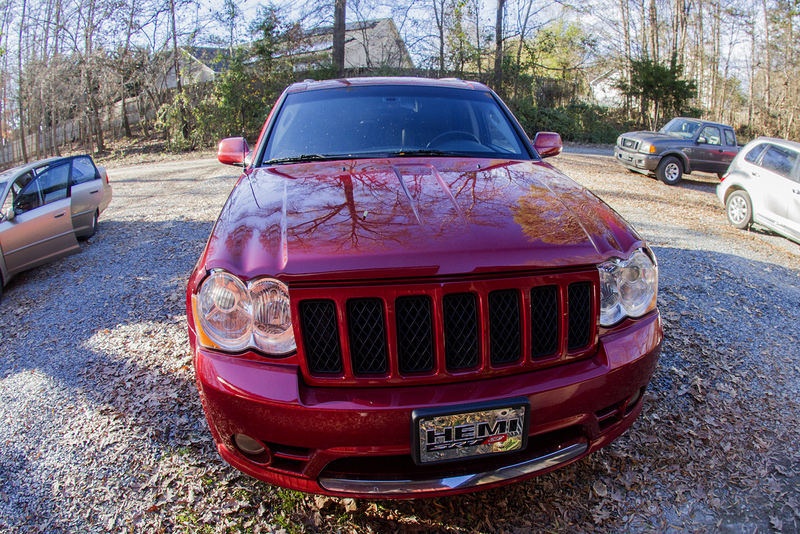 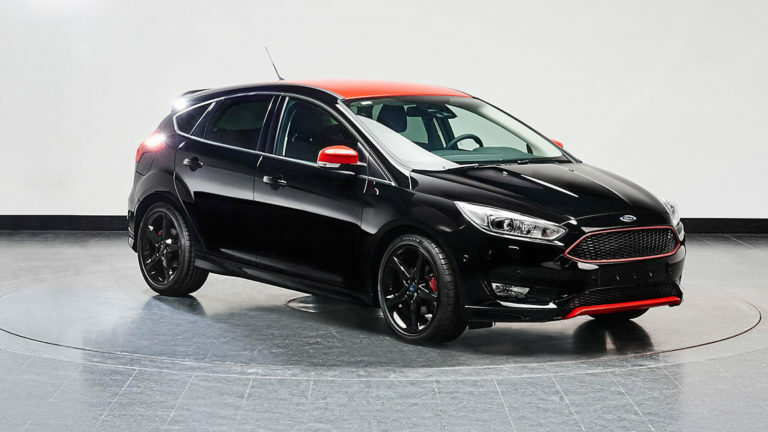 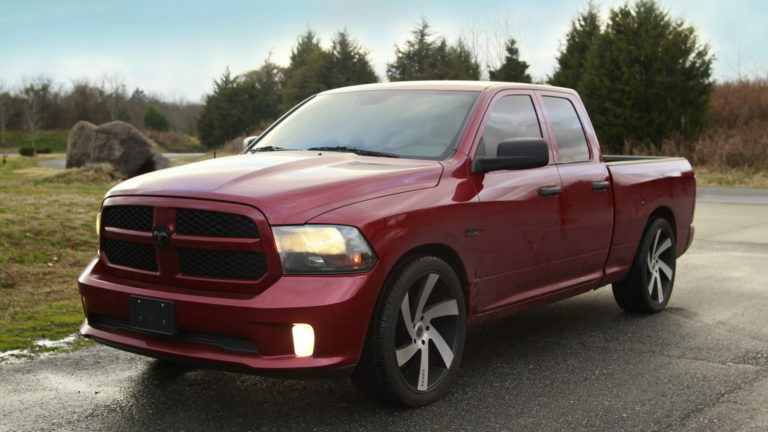 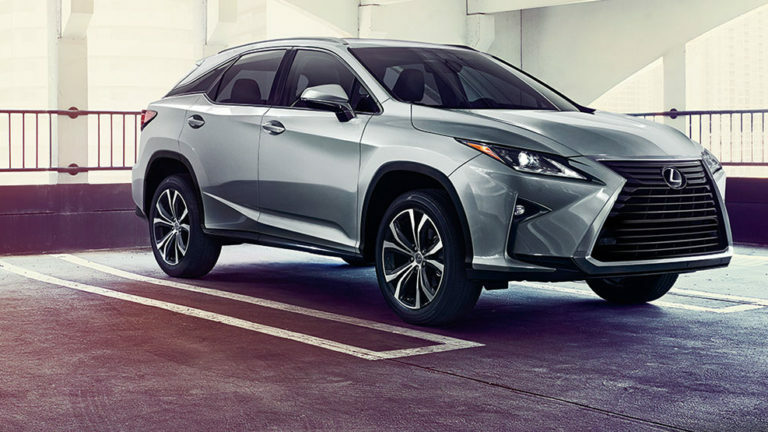 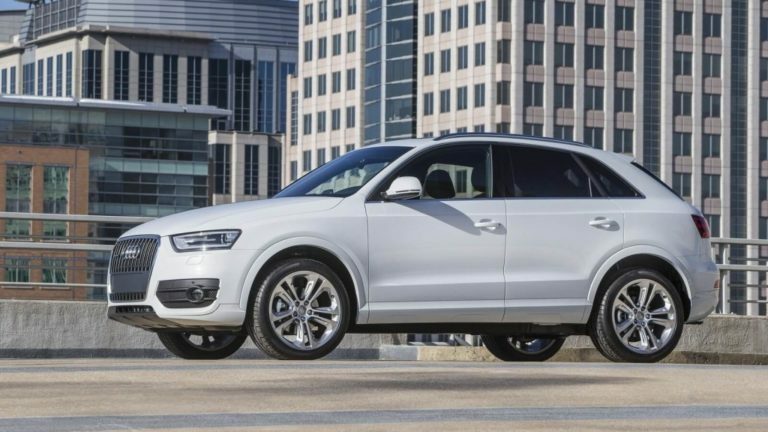 As the result, changed look, feel and resale value of the car. 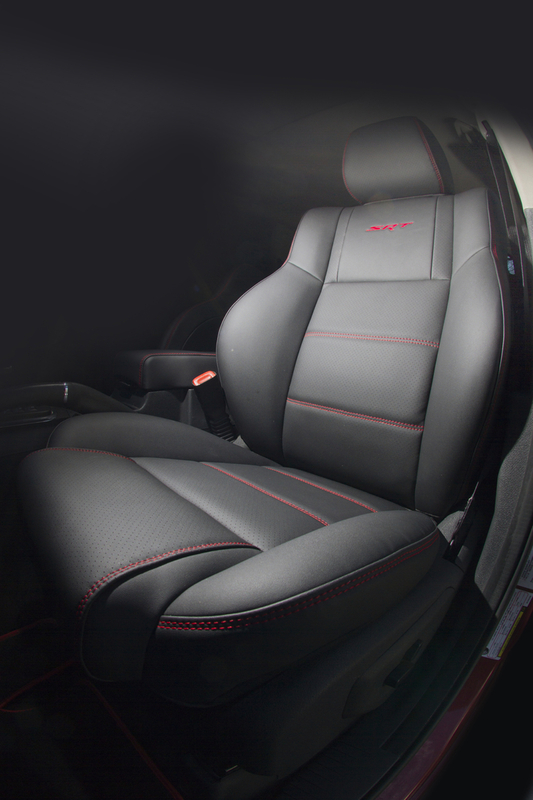 Dalas Auto Upholstery is NOT simply seat covers that you buy at Walmart. 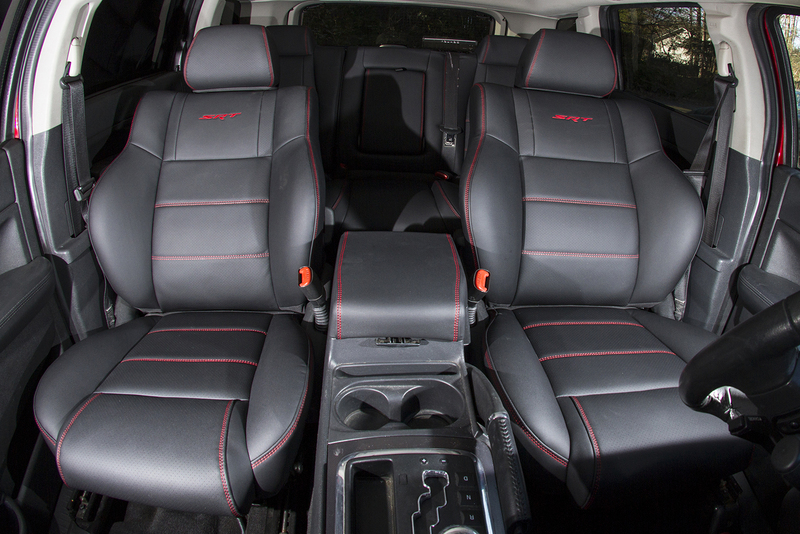 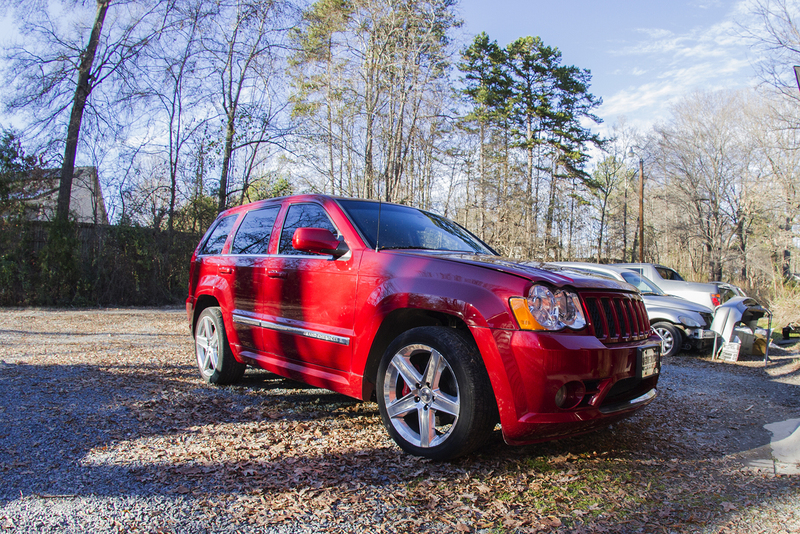 This interior was specifically designed and handcrafted to completely replace the Grand Cherokee’s cloth seats with a professionally-installed, upholstered custom leather interior.